This idea came up because I have many clients that come to us for advice, with questions. Sometimes they just want to rant a little and be heard, becasue planning an event means that everyone and their brother is going to tell you what to do. Once you read through these you'll understand that we are really just trying to empower you to do, well, as you please. Some of these apply in life and in wedding and event planning. Nethertheless, still continue to be you, to do you and to make yourself happy and don't fall for any of these. Your happy number (budget) is up to you. 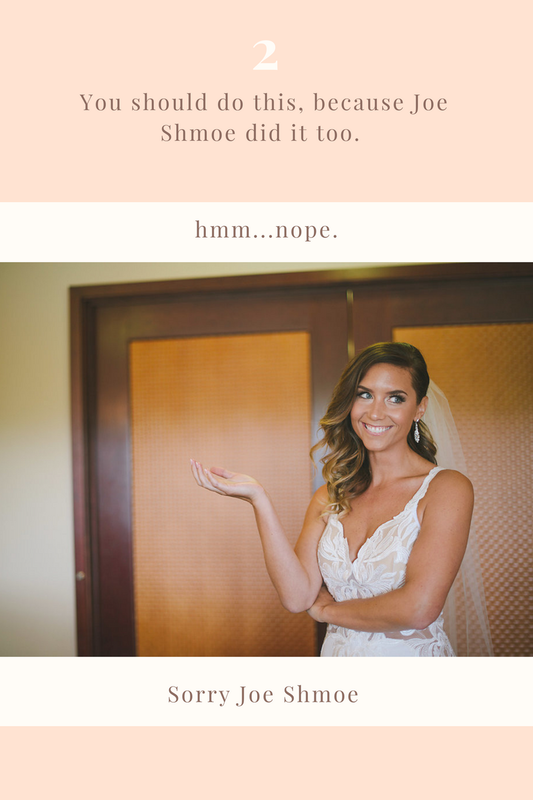 We often hear, Joe Shmoe gave me a hard time because they think I'm spending too much on my wedding, or the revese becasue they don't think it is enough. You have a vision, a budget and plans... do you darling! We just don't think every wedding needs the latest trends, the latest tech, the latest (replayed) song... Sorry but we are all about what YOU want! You, your relatioship and your loved ones is what makes it special. Embrace that, show off the your love story throughout the wedding details (like the letters above). Because it is your journey together that matters, and when you do things to your liking, personality and visison... that, is what makes it special and memorable.